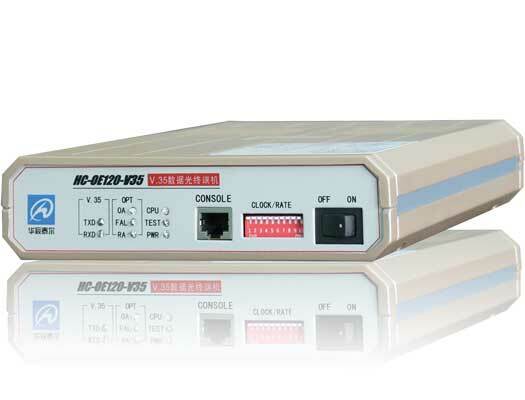 The HC-OE120-V.35 is a fiber media transmission device for V.35. It provides both AC and DC power supply. For the V.35 port, it provides DB25 connector.